Baking is one of my all-time favorite things. I especially love bread, cakes, brownies, and old-fashioned fudge. 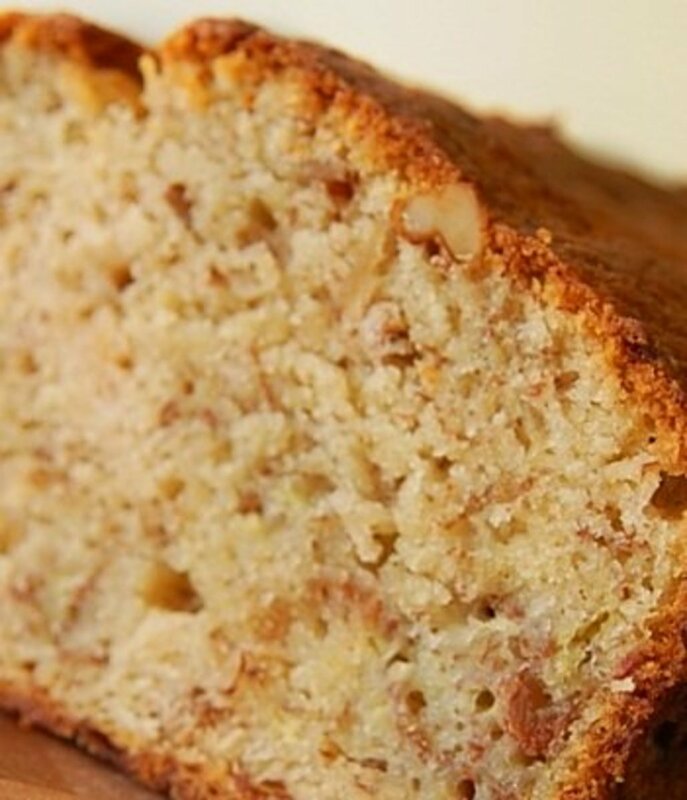 Who doesn't love banana bread—or at least like it a lot! 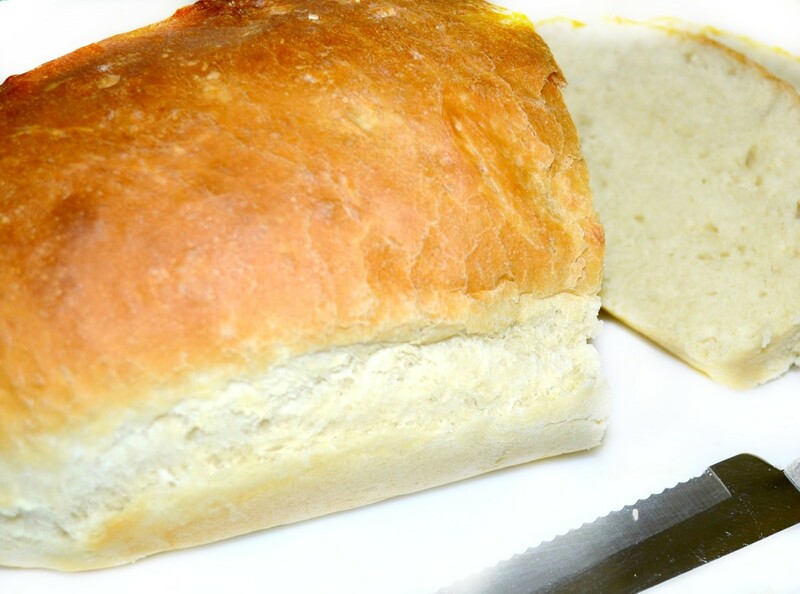 The aroma of fresh-baked bread wafting through the house is enough to make your tastebuds cry with joy. 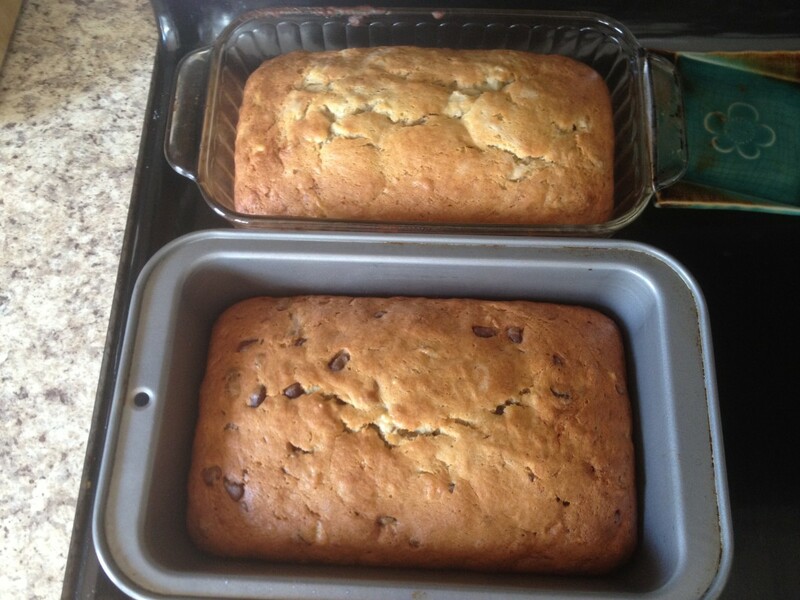 After making several oat-and-wheat loaves, Steve (my husband) asked if I could make banana bread next time. I'd never considered making banana bread in the bread machine. After some internet research, I found many recipes that might work. None of them were exactly the same. 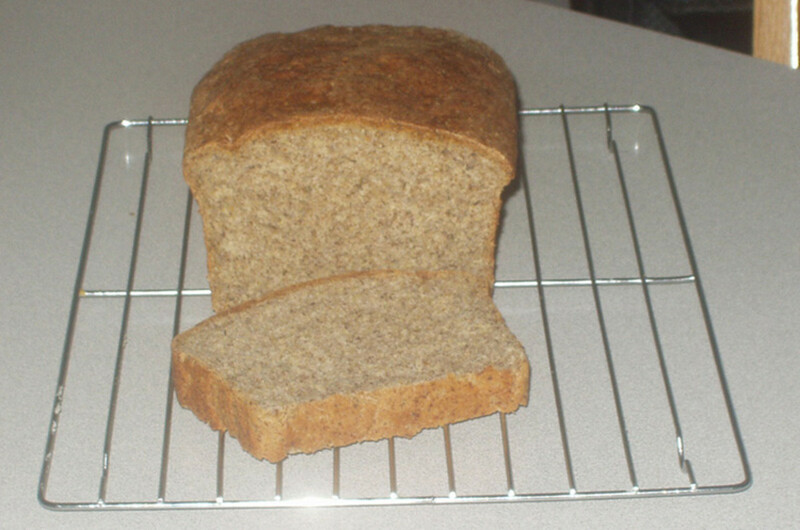 So, being a "little ol' bread-maker from way back," I thought I'd work out my own recipe. I paid attention to the recipes' comments and kept them in mind while composing my version. And this, my friends, is the result: a two-pound loaf of delicious banana bread. I want to add here that recipes are meant to be a guide, not a law. If I'm out of one thing, I'll use another. Or I might decide to add a little something else—like the chocolate chips I've started adding into this recipe. Steve loves my banana bread, and he loves chocolate. And he loves me! For best results, make sure that your ingredients are at room temperature before you start. Place the bananas in a ziplock bag, and smash them to a pulp! Spray the inside of the bread machine's pan with Pam (the butter-flavored version is a good option for this). Put eggs, smashed bananas, and vanilla into the pan. Stir. Slowly sift in the bread flour, sugar, baking powder, baking soda, and cinnamon. Cut the margarine into four pieces, and put one in each corner of the pan. Place the pan in the bread machine. Using the cake/quick bread setting, start the machine. Cooking time on my machine is about 1 hour and 50 minutes. I make a slightly larger loaf than most of the recipes I've seen, and this is a good amount of cooking time for mine. Different machines will possibly need a time adjustment (adding extra minutes or stopping the cooking a little earlier). It has been reported that since this is a different type of dough, the machines have a bit of trouble incorporating all the dry ingredients. So as the machine beeps the first time, using the rubber spatula, I very carefully help it mix the dough until all of the flour mixture is moistened. Stir carefully with a rubber spatula (so as not to scratch the pan). This is also the time for the add-ins: nuts, sunflower seeds, chocolate chips, or whatever you like. Now, just close the lid, and let the machine do its magic for you. You can easily tell when it starts cooking by that wonderful smell coming from the kitchen. Mmm-mm good! When the banana bread has finished baking, carefully remove the pan from the machine using potholders. Set it in a safe place, and let it cool for at least 10 minutes. Turn the pan upside-down on a paper towel or plate. The bread should fall right out. If necessary, give it a little shake. Make sure the bread machine's little paddle mixer is removed from the bottom of the loaf. I like to spray the loaf with the butter-flavored Pam. 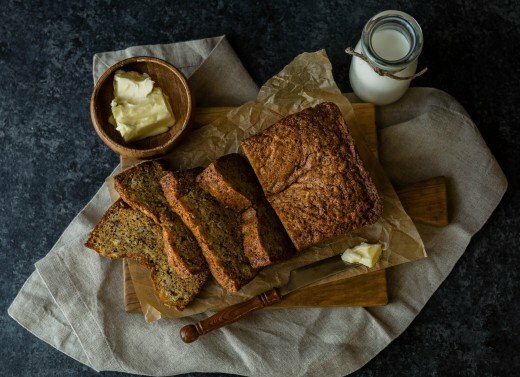 Enjoy your delicious banana bread! 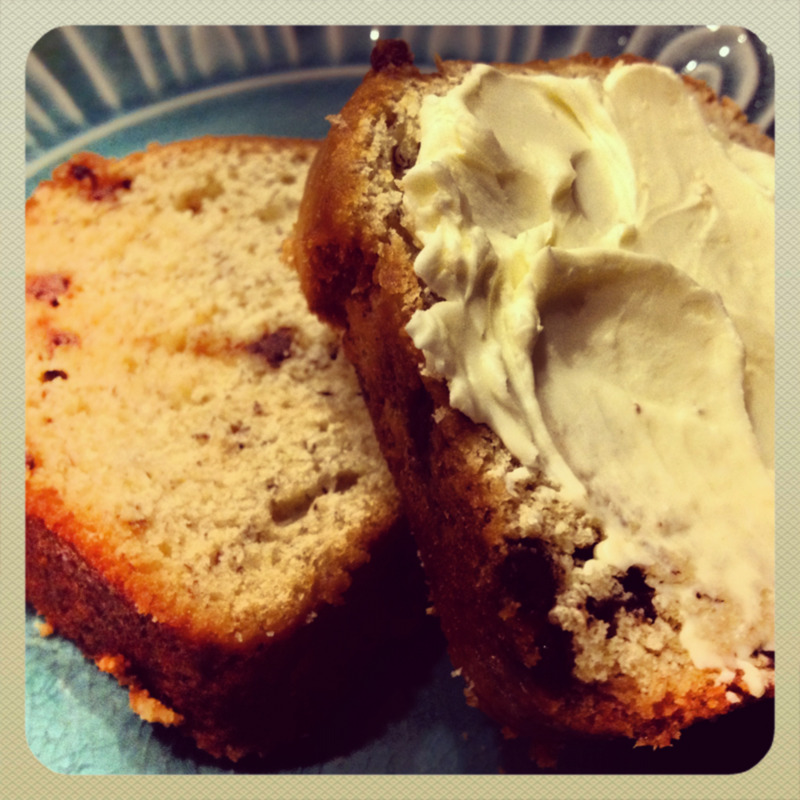 The banana bread smells so good that it's difficult not to eat it right away. If you choose to store your loaf, put it in a gallon-sized freezer bag or wrap well in plastic wrap, and place it in the freezer. We use regular storage baggies, and set it on the kitchen table when we're planning to eat the bread within the next few days. What is your preferred way to Bake the Bread? All Comments Welcome Here. Did You Like the Recipe? Hi, banana bread is the best especially homemade, delish. Thanks for the recipe. I love Banana Bread and I love my bread maker. We had it as a wedding gift off my aunt, as she knew I was fancying hers when we went to saty a few years ago, it is just so practical and easy to use. I made pizza dough in it for the first time last week. Will be trying your banana bread recipe soon. I usually do banana and honey loaf. 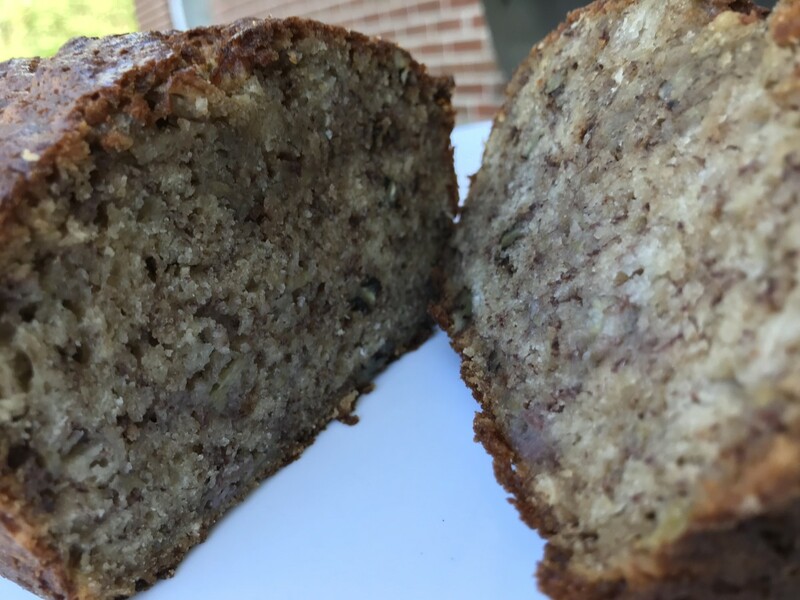 I looked at the listing of your ingredients in your banana bread online recipe and the printer friendly version. They are different. One says 1/4 c applesauce,3 T of canola oil, no margarine and the rest of ingredients, while the other says 4 T of margarine, with no applesauce or canola oil. Which one is correct? @anonymous: A long time ago, I made butter from the cream off of dairy milk. My children were afraid to try it because it wasn't yellow! 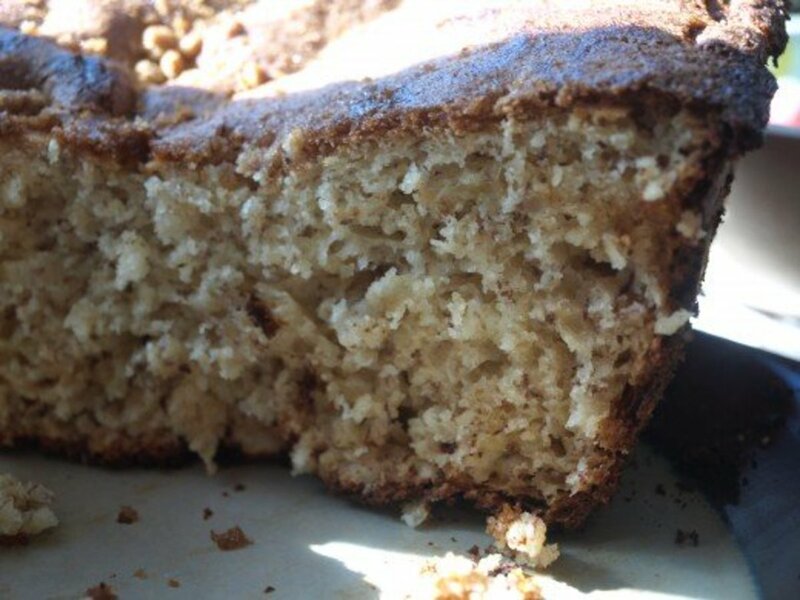 My sister sends me banana bread in the mail and it is perfect! I love your little lesson on smooshing the bananas, it reminded me of the days when margarine came in a big plastic bag and was white until you broke the color capsule and smooshed it around. @anonymous: That is so great to hear. I would love to ship some bread to you. But it would be best if I teach you how to fish. ;o) Thanks very much for visiting. @MamaRuth: Hey, Ruth, Glad you stopped by. This is the only bread I make that my husband, Steve, will eat. Hope you like it, also. I love my bread machine and am always looking for new recipes. This looks great! I can't wait to try it out. @Countryluthier: I don't know about the photos being fattening. But you should've been here when the bread was cooking. It was very tempting to eat first and worry about photos later. ;o) Glad you came by. They look so good, are the photos fattening? If so, I'm in trouble, I sorta dwelled on the banana bread load. Great lens! @KimGiancaterino: Now you're scaring me. I'll be having nightmares about exploding bananas. I hope your bread machine was unharmed. I've had a few explosions in my bread maker while experimenting with bananas. There is definitely a science and an art to it. I will refer to your recipe next time!